Hey! I had such a blast earlier last week during that Get Active Inside challenge from Jamie of Hands On As We Grow. I hope you got to take advantage of that free challenge when I shared it with you — it was the kick in the pants I needed to really spend some quality time with my kids — and it was sooooo easy and fun! Wouldn’t it be so easy if we always had an easy-to-follow plan of fun things to do with our kids? The Activity Room makes it super quick and easy for you to be present with your kids, every day! Enjoy your days while regularly implementing activities! 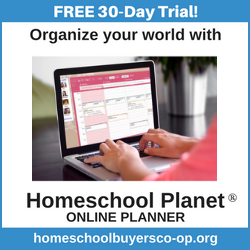 Discover the tricks to doing activities: multiple kids, the mess, a small space, we’ll be covering those in our monthly themes! Save your rainy days from being sucked into the television. If you are looking for some maps to help extend your geography check out these from Knowledge Quest Map Trek (including a free sampler). Not Consumed is having a great sale on many of their products. We personally love her hymn studies and missionary studies. We are currently really enjoying her Fruit of the Tongue Bible Study. 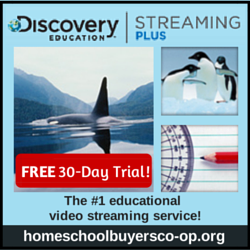 Homeschool Buyers Co-Op is offering a great deal on Discovery Education Streaming right now. 60% off and bonus Smart Points redeemable for other products. We have used this in the past and enjoyed it. Two Free Audio Books with an Audible Trial and if you aren’t sure what to start with I’d suggest checking out the Green Ember or The Penderwicks for good family choices.